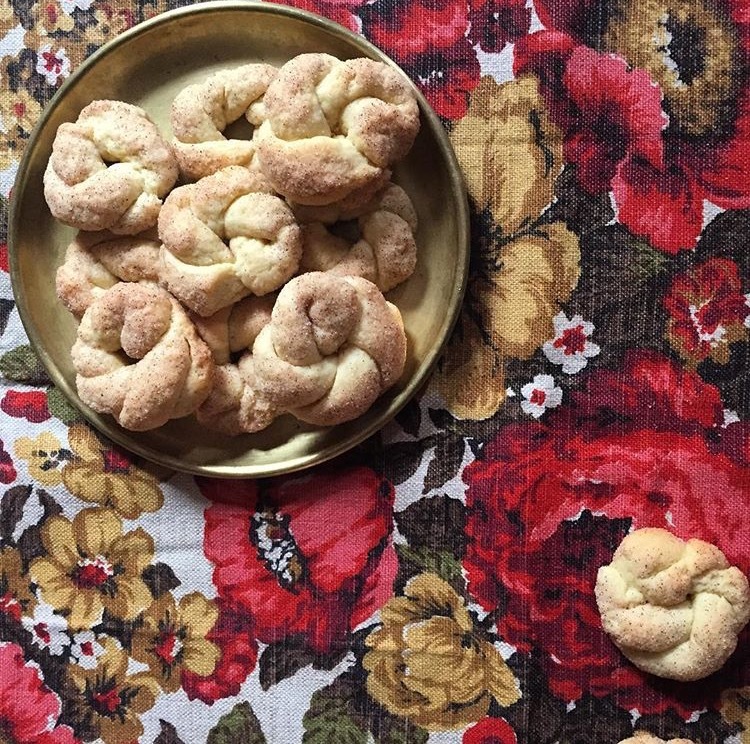 For Yedida Dabah, baking pastelicos, a Sephardi savory pastry filled with beef and pine nuts, is a way to keep the memory of her mother Dvora alive. 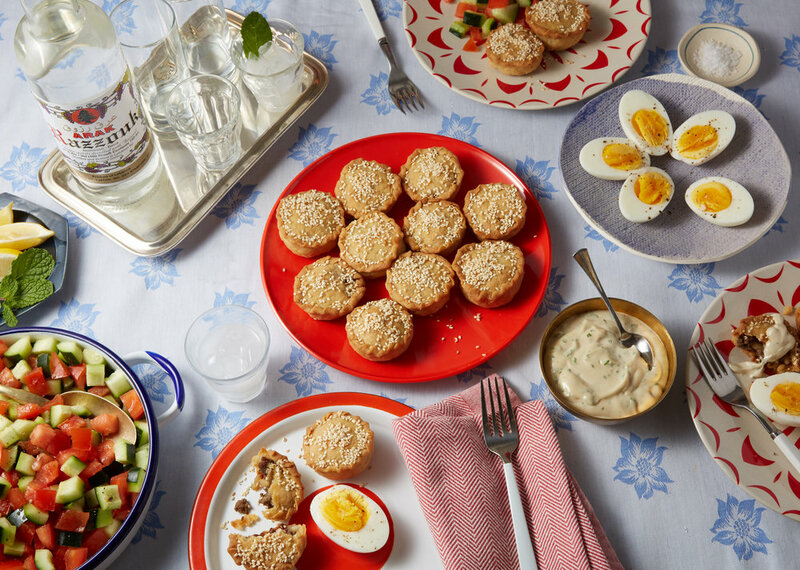 Growing up in Jerusalem, pastelicos were part of Dvora’s Shabbat breakfast table along with hard boiled eggs, tahini, chopped vegetable salad, and a shot of Arak. Her cooking was a rich reflection of her family’s Spanish roots. She was known for her medias: a Sephardic recipe for vegetables stuffed with meat, fried, and then simmered in tomato sauce. And numerous baked goods including bourekas, biscotti, baklava, cookies filled with almonds or dates dusted with powdered sugar that she baked for holidays, and biscochitos, savory round biscuits she kept on hand for an every day snack. Today, Yedida tries to cook what she remembers from Dvora’s table. All of the dishes were made while Yedida and her sister were in school, so they wouldn’t get in the way, she explained to us as we cooked with her in her home in Mevaseret Zion, a suburb of Jerusalem. Instead of cooking, she and her sister were given the chore of cleaning the outside stairs. Nothing short of spotless was acceptable. When Yedida was five-years-old, a family with roots in Aleppo, Syria moved into the apartment downstairs. As the children of the families became close, the doors to the apartments stayed open more frequently. 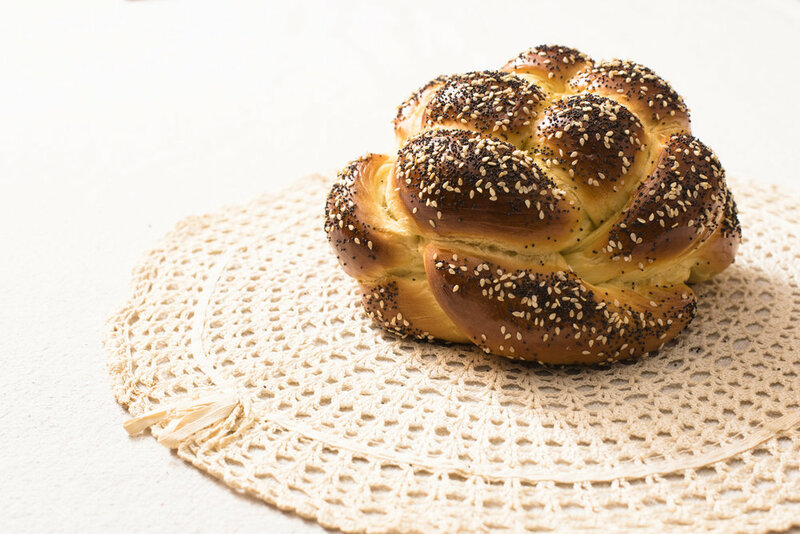 On Friday afternoons, when both mothers, Dvora upstairs and Rachel downstairs, baked a cake for Shabbat, Yedida and her sister would divide and conquer the whisks, making sure each got one to lick. When Yedida was 14 and Rachel’s son Elli was 17, they started to date. Neither Elli nor Yedida were formally taught to make their family recipes, but both managed to absorb some of the techniques along the way. Elli picked up his father’s recipe for a za’atar blend he made with dried and ground chickpeas and a taste for marinated artichokes that the family made and sold at a small store they owned nearby. And Yedida, who was finally welcomed into her mother and mother-in-law’s kitchens as an adult to watch them cook, learned how the two approached their specialties. But, it wasn’t until their mothers passed away that Elli and Yedida started to cook Rachel and Dvora’s recipes in earnest. Yedida missed her parents and the tastes of her mother’s kitchen. Cooking has become a way of remembering for the family. 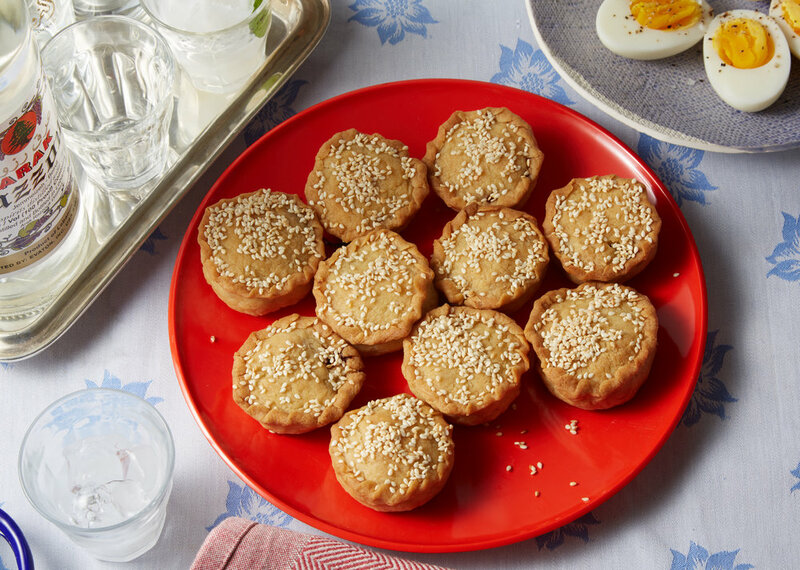 Today, she makes the pastelicos for her children and grandchildren, serving it as her mother did with tahini or, at times, drizzling them with tamarind sauce, a recipe that she picked up from Elli’s Halabi (a term for Jews from Aleppo) side of the family. Elli carries on the tradition of making his special za’atar blend, gathering and picking the za’atar leaves from the stems. And, he’s developed his own riff on the marinated artichokes with lemon slices, grape leaves, garlic, paprika and olive oil. The next generation doesn’t make any of these recipes, Yedida explains. But she hopes one day, in the far future, they will return to them as a way to remember. 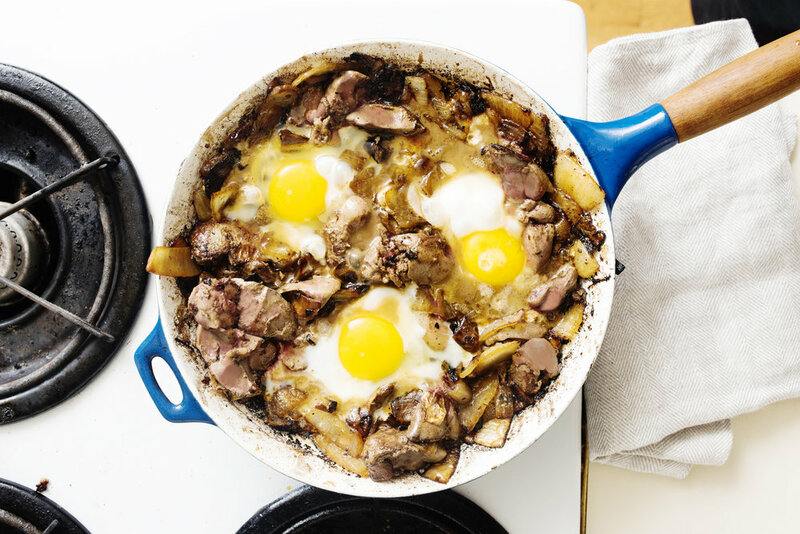 Recipe Note: Yedida added the warming North African spice blend ras-el-hanout to this recipe after a trip to Morocco. Her mother Dvora used baharat, a Middle Eastern spice blend commonly made with allspice, cumin, black pepper, coriander and cumin seeds, and several other spices. 1. Prepare the filling: In a large skillet, heat the oil over medium heat. Add the onions and sauté, stirring occasionally until golden and soft, 15-20 minutes. 2. Add the ground beef and sauté, breaking the meat into small pieces with a wooden spoon until cooked through, about 5 minutes. 3. Add the water and cook down until the water evaporates, about 5 more minutes. 4. Meanwhile, toast the pine nuts over medium heat in a dry skillet until aromatic and golden, about 5 minutes. 5. Add the pine nuts, Ras el Hanout, salt, and pepper to the meat and onion mixture. Mix well and remove from heat. 6. Transfer the mixture to a heat resistant container and place in the refrigerator to cool for at least 30 minutes or overnight (the filling is better done a day ahead and placed in the fridge to cool for easier handling). 7. Make the dough: In a medium saucepan, place the water, margarine or butter, oil, and salt. Heat over medium until the mixture starts to boil. Remove from heat and immediately stir in the flour with a wooden spoon until well combined. Allow the dough to cool for a few minutes until it can be easily handled. 8. Preheat the oven to 400°F and line two baking sheets with parchment paper. 9. Stuff and shape the pastelicos: Pinch off a small amount of dough, about the size of a large cherry tomato. Roll into a ball shape and press down on the center of the dough forming a 1” pocket for the filling. Fill the pocket with a teaspoonful of filling (to the top edges of the dough pocket). Then, take a smaller piece of dough, and press it into a disc shape that fits over the top of the pocket. Pinch around the edges to connect the top to the bottom. Create a design around the edge of the pocket, which Yedida refers to as repulgo, and in Spanish means crimping or fancy edging (see below). Place the finished pastelico on the prepared baking sheet (they can be placed quite close to one another as they will not rise or expand much when baking). Continue with the rest of the dough and filling. 10. Sprinkle the sesame seeds evenly over the top of the pastelicos. Place in the oven and bake, until golden brown, about 1 hour. For more even baking, bake each tray separately. 11. Serve hot or at room temperature with tahini sauce, vegetable salad, and hard boiled eggs. 1. Combine all ingredients in the bowl of a food processor and pulse until well combined. 2. If making by hand: finely chop the parsley and mince the garlic. Combine all ingredients in a large bowl and whisk until uniform and well combined.